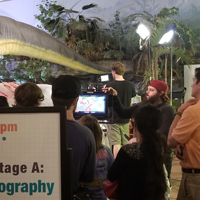 Faculty and students from the Film, Television and Video Production program partnered with the Office of Admission to give community members a taste of movie making at the St. Louis Science Center's "First Friday: Movie Magic" event. The event, attended by over a thousand people, shined the light on Webster programs, equipment and people with four "sound stages" filling the museum and demonstrating how the magic of the screen is created. One hundred years after the United States entered World War One, the French Embassy seeks to shed light on this momentous occasion through a series of events across the U.S. throughout 2017 as part of a yearlong program “How 1917 Changed the World." Join the Webster University Film Series & the Centre Francophone, and Cinema St. Louis for a special ciné-concert to commemorate the centennial. Join filmmaker Arnd Wachter Nov. 19 for a pedagogical workshop about using the Crossing Borders Tool Kits and his three documentary films to help your students develop self-awareness, empathy, courage and communication skills to risk confronting issues of race, class and culture. 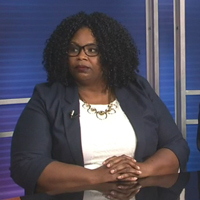 Faculty and staff will gain access to the intercultural and the interracial dialogue tool kits and two year screening rights for all three films in the Crossing Border Film Trilogy.